Shiny, yellowish-brown, 2-3 mm long. 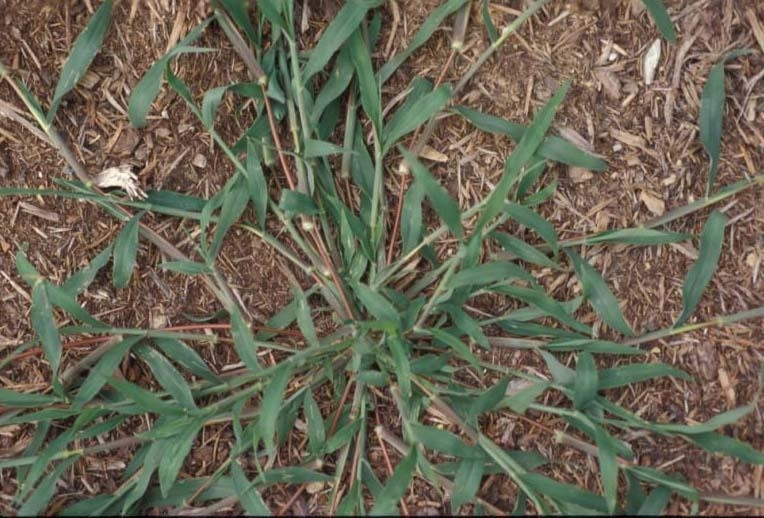 Sheaths and blades usually densely hairy, with a jagged membranous ligule. 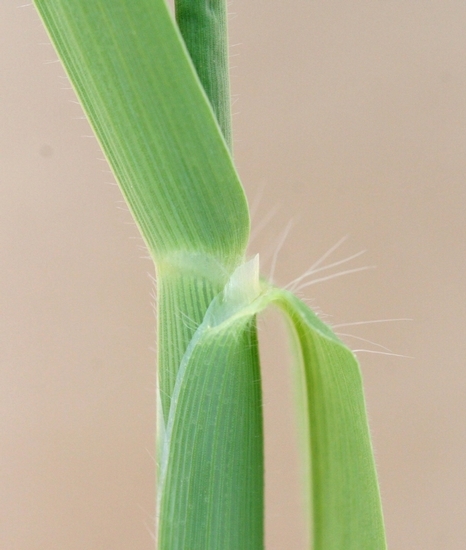 Hairs on the blade and sheath are at a 90 degree angle to the plant surface. 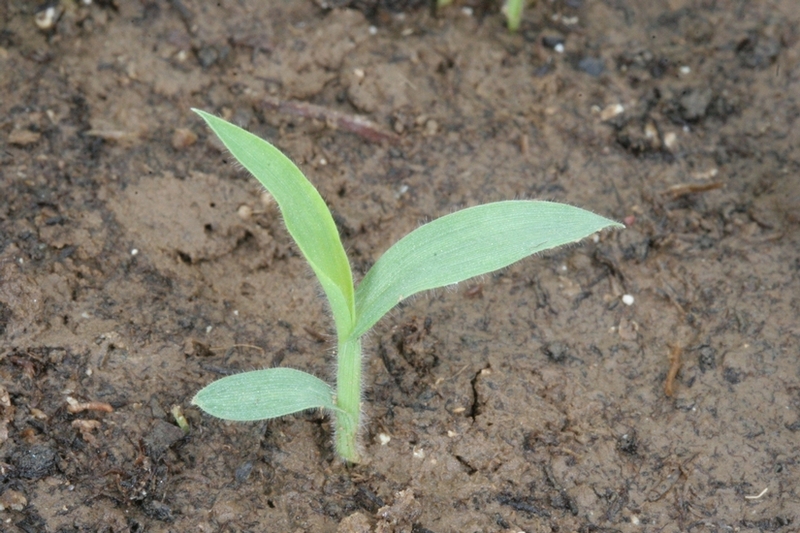 Seedlings are upright, leaves are rolled in the bud, and the first leaf blade is lanceolate to linear. Blades 1 1/4 to 8 inches long, 3-10 mm wide, with hairs on both surfaces. Sheaths hairy and closed. Ligules are 1-2 mm long, membranous and appearing as if cut off straight across the end, with uneven teeth or margin. 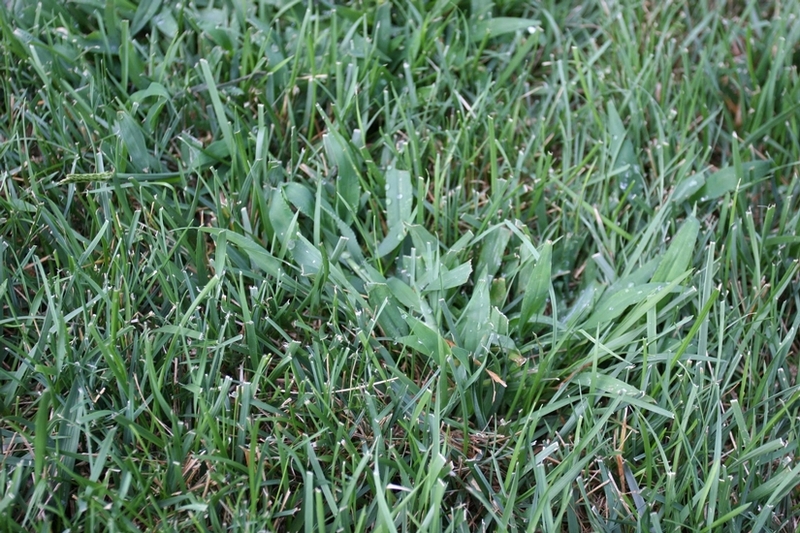 Leaves and sheaths may turn dark red or maroon with age. 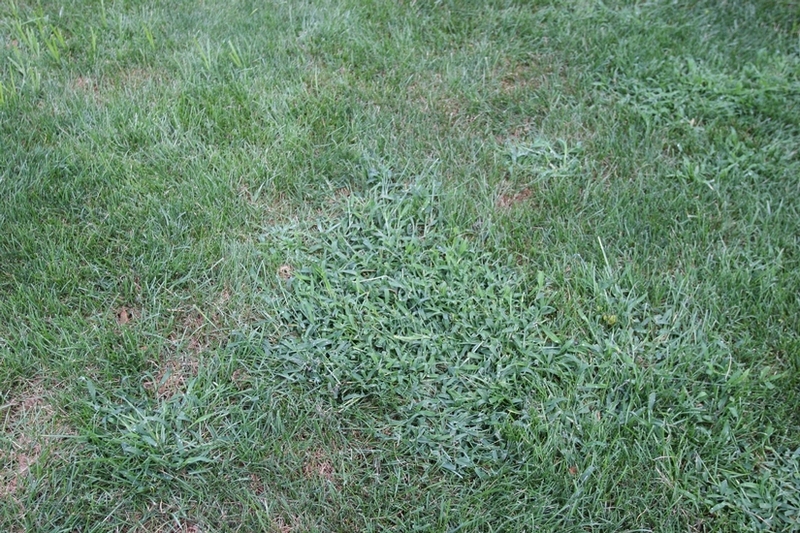 Prostrate, spreading, branched, and rooting at the nodes. 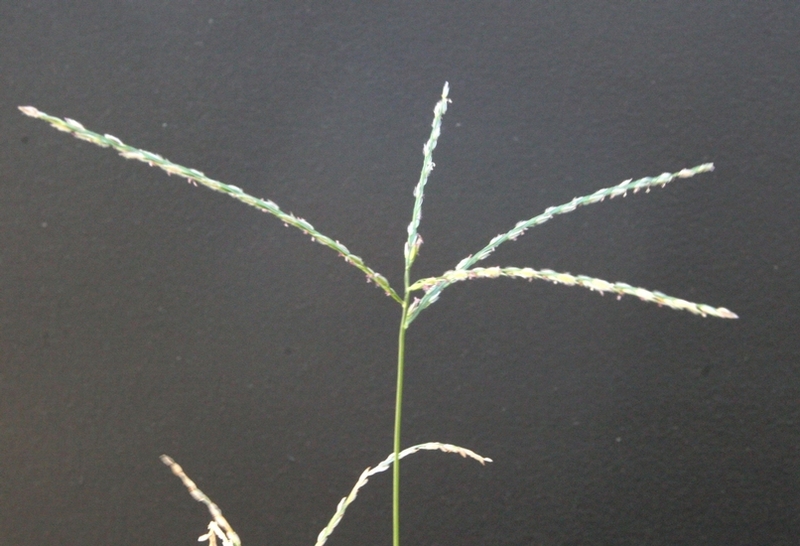 Seed head composed of 4-6 branches (spikes) at the top of stems, each approximately 1 1/2 to 7 inches long. 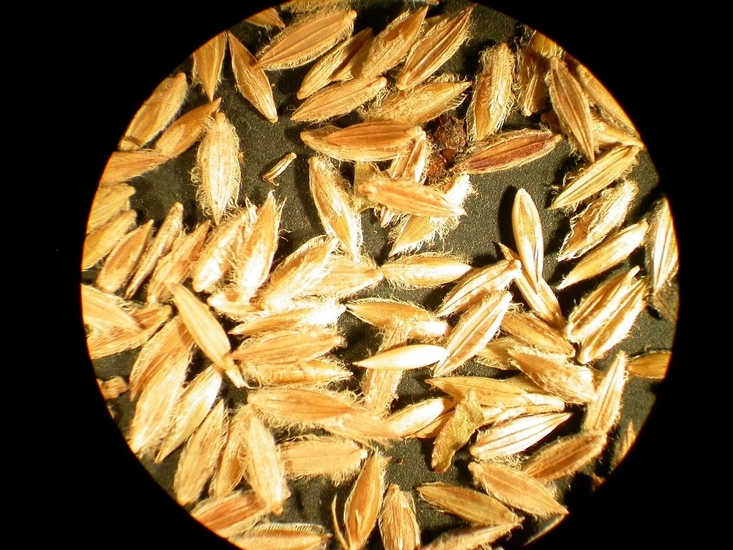 Spikelets are elliptic and in two rows along the spike. 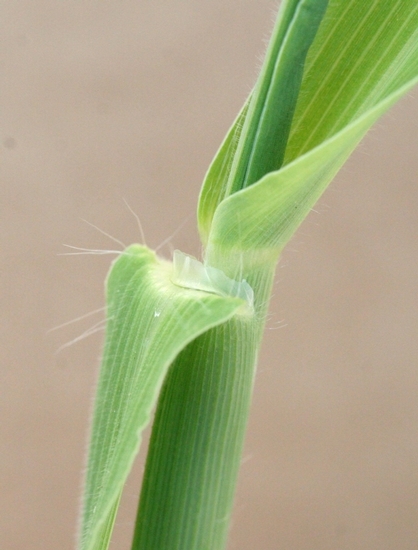 Densely hairy leaf and sheath and relatively large membranous ligule. 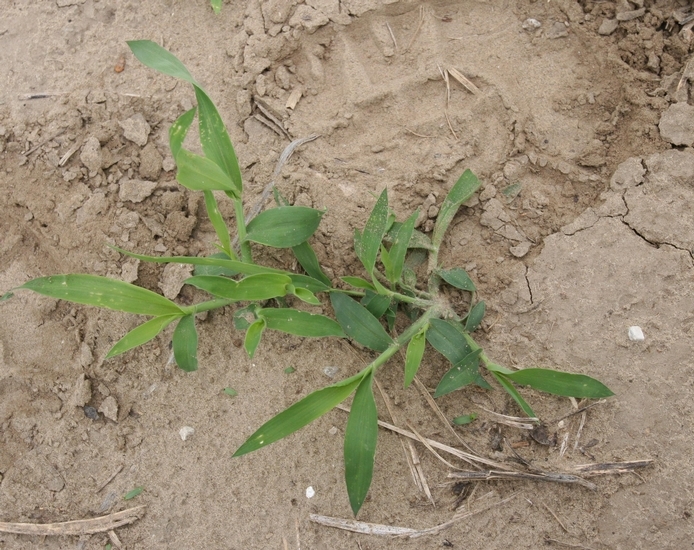 Similar in appearance to Smooth Crabgrass (Digitaria ishaemum), but smooth crabgrass does not have hairs on leaves and sheaths, only a few hairs may be found in the collar region. 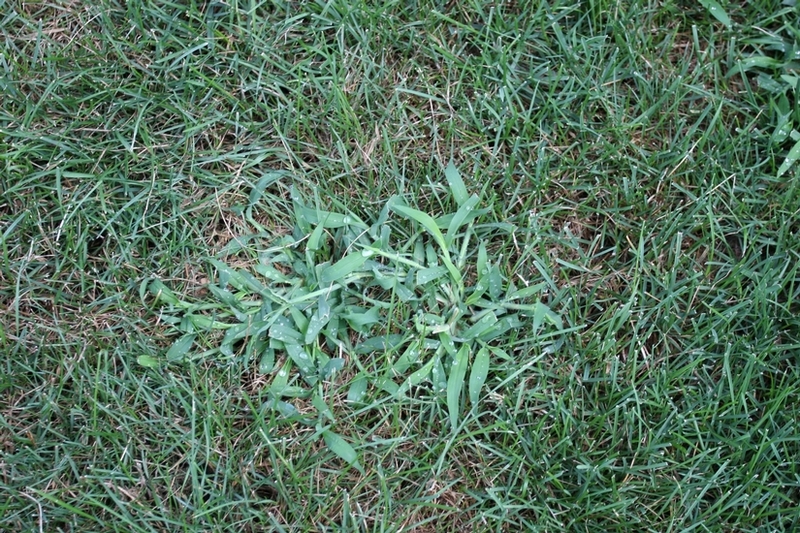 Additionally, large crabgrass roots at the stem nodes while smooth crabgrass does not.